Why children are leaving their homes? Unaccompanied children in Europe: what to learn from them? Diversity: an impediment within the justice system? For far too long, there was tendency to portray young women and men either as angry trouble-makers, or as photogenic, helpless victims. This is a false narrative. Yes, it is true that many young people face tremendous amounts of violence in their daily lives. In fact, the statistics are horrifying: Approximately 430 young people aged 10 to 24 die every day through interpersonal violence. Globally, more than 600 million young people live in fragile and conflict-affected settings; and more than half of the world’s population of refugees are young people. But the truth is that while a disproportionate number of young people face unspeakable hardships, only a small percentage turns to violence. Still, this minority remains at the centre of global attention. In the past four years, I engaged with countless numbers of officials. My message to them was one and the same: Young women and men are not the problem, they are the solution. Listen to them, empower them and make them part of the decision-making process. By treating young people as a threat, governing bodies – and the media – are silencing an incredibly powerful force for good. Young women and men are the drivers of innovation, tolerance and peace. 10th Secretary-General of the World Organization of the Scout Movement. Former First-ever Secretary-General’s Envoy on Youth and the youngest senior official in the history of the United Nations. Term of office 2013 to 2017. They are the bedrock of communities, the ones with the ideas, the energy and the courage to stand up for what is right. Bringing young women and men into political and social processes is a crucial step towards establishing lasting peace and prosperity. In fact, I believe that there is and never will be a genuinely peaceful society without empowered youth. If we are to tap into this peacebuilding potential we need transformative action at all levels. International, national and local governing bodies have a duty to serve and protect young women and men. I am not talking about superficial gestures – I lost count of how many times I heard that “young people are the leaders of the future”. The fact is that young women and men are here, now and that they should hold leadership positions today. In December 2015, the United Nations Security Council unanimously adopted Resolution 2250 on Youth, Peace, and Security. This resolution is the first of its kind. It urges Member States to increase representation of youth in decision-making at all levels while recognizing the threat to stability and development posed by the rise of radicalization. Also, the full implementation of Resolution 2250 ensures that young people are able to meaningfully participate in peace processes and conflict resolution. A month later, the UN Secretary-General presented his Plan of Action to Prevent Violent Extremism. The plan promotes innovative practices to address the drivers of violent extremism and build support towards the rejection of violence. The plan calls for a comprehensive approach encompassing not only essential security-based counter-terrorism measures but also preventive steps to address the underlying conditions that drive individuals to radicalize and join violent extremist groups. Of course, there is no single path that leads to violent extremism. 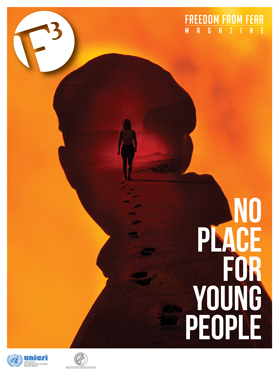 But studies show that extremism spreads most when human rights are violated, political space is shrunk, aspirations for inclusion are ignored, and too many people – especially young people – lack prospects and meaning in their lives. In the last few years, we have experienced some positive developments. In 2015, world leaders adopted the 2030 Agenda for sustainable development. The 17 Sustainable Development Goals in the Agenda are the most inclusive global goals ever. One of the key messages for the next 14 years is that we must leave no-one behind. There is a growing consciousness around leveraging the potential of traditionally overlooked people and communities. The global goals do not differentiate or discriminate; rather they mandate that everyone must be brought into the implementation process. Young people have a unique opportunity to become the torchbearers of the 2030 agenda. They are the ones who must demand and endorse more sustainable means of production and consumption. They are the ones who can innovate ways to communicate and educate about sustainability. They are the ones who can mitigate climate change. Over the last four years, I have aimed to amplify the voices of the thousands of young people that I have met around the world. They are voices of hope, love and positivity. They are voices trembling with frustration and urgency about the fate of our planet. Yet, young people remain underrepresented at every level of government. In fact, less than 2% of parliamentarians worldwide are under the age of 30; and more than 80 per cent of the world’s upper houses of parliament have no MPs aged under the age of 30. I believe that if you’re old enough to vote, you’re old enough to run for office. In fact, 73% of countries restrict young people from running for office, even when they can vote. This is why we have partnered with leading organizations to launch the “Not Too Young to Run” initiative. We aim to draw attention to the widespread age discrimination in running for public office. At a time where civil society and its work is under increased scrutiny, we have a unique opportunity to highlight the incredible potential of young women and men as essential peace builders in governments. So I call upon all the leaders of the world not to fear or ignore young people. But most importantly, I call upon them to remember that they too, once were young. Ahmad Alhendawi of Jordan of Jordan is the 10th Secretary-General of the World Organization of the Scout Movement since March 2017. He served as the United Nations first-ever Secretary-General’s Envoy on Youth and the youngest senior official in the history of the organization. Mr. Alhendawi held office from January 2013 until February 2017. His priorities have been to harmonize the UN system efforts on youth development, enhance the UN response to youth needs, advocate for addressing the development needs and rights of young people, as well as to bring the work of the United Nations with and for youth closer to them. As Envoy on Youth he also acted as the advisor to and the representative of the Secretary-General on youth related matters. Born in 1984 in Jordan, is a youth expert and advocate at the national, regional and international levels. He previously worked as a Team Leader for the World Bank funded programme to the League of Arab States on Institutional Development to Strengthen Arab Policy and Participation. Prior to this, he served as the Youth Policy Advisor in the League of Arab States in Cairo and as an officer in the Technical Secretariat of the Arab Youth and Sports Ministers Council. Past experience also includes serving as Team Leader for the National Youth Policy Project in Iraq, Youth Programme Associate at the Iraq office of the UN Population Fund (UNFPA), and as an Emergency Programme Officer at the non-governmental organization Save the Children. As a regional consultant, he has also supported the Danish Youth Council’s projects in the Middle East and North Africa. 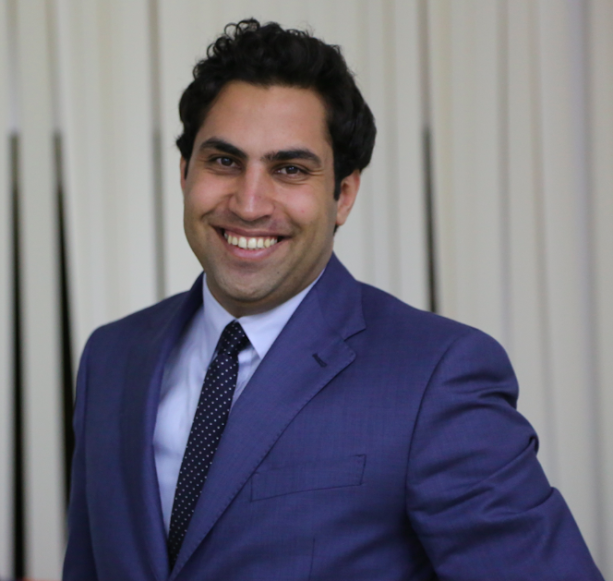 Mr. Alhendawi was a co-founder for Youth for Democracy Network at the Jordanian Commission for Democratic Culture which he headed. Internationally, he was a co-founder of the International Youth Council, based in New York. Mr. Alhendawi has studied and worked in Jordan, Iraq, Egypt, Turkey, France, and Germany. As Envoy on Youth he was mandated with the task of harmonizing the efforts of the United Nations on youth issues and to bring the voices of young people to the United Nations System. Moreover, in this position, he worked with different UN Agencies, Governments, Civil Society, Academia and Media stakeholders towards enhancing, empowering and strengthening the position of young people within and outside of the United Nations System. The role of the Envoy on Youth is described by the UN Secretary-General as a “harmonizer between all UN agencies” bringing them together to explore cooperation opportunities for working with and for young people. As UNSG’s Envoy on Youth, Mr. Alhendawi outlined a work plan with four priority areas: Participation, Advocacy, Partnerships and Harmonization.